Danielle was born and raised in Union County. She moved away during her high school years and after graduation served in the Oregon, North Carolina, and Arizona Army National Guard for six years. 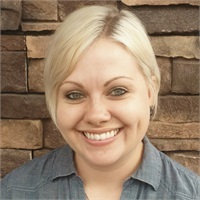 Then she returned home to La Grande and joined ISU-The Stratton Agency in June 2017 as a personal lines insurance agent. During her free time she enjoys spending time with her daughter Ava, lifting weights, shooting guns and the great outdoors.